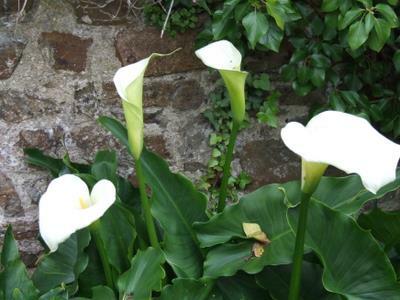 This lovely Arum lily has stately white trumpets with a yellow spadix during summer. The broad unspotted foliage makes good clumps in moist soils and this is the hardiest and most commonly grown form. Organically grown in peat free compost. Hardiness rating H4. Remove old foliage in spring and split plants every three or four years to maintain vigour. May be divided after flowering or collect and sow seed.